Device fabrication is the process used to create single devices to test or overall system structures to validate. 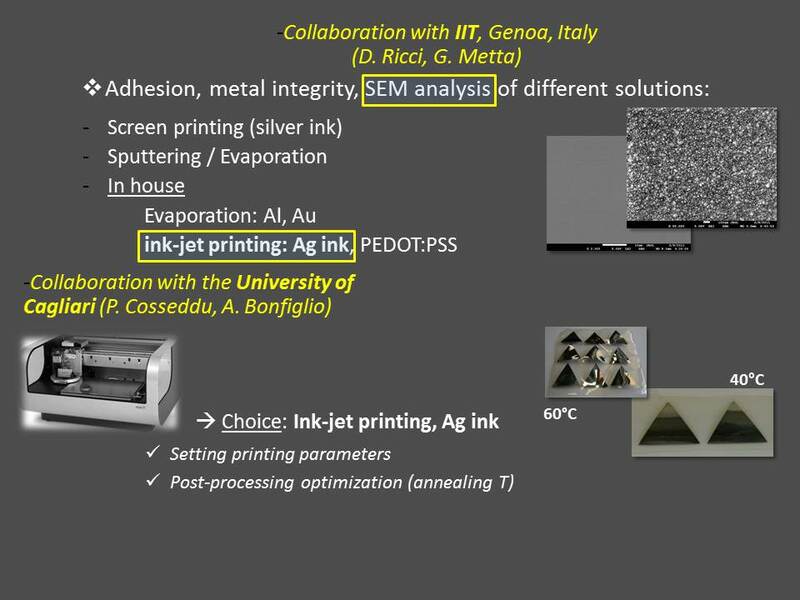 It includes multiple-step sequences of assembling materials and photolithographic/chemical processing to build integrated circuits. The entire manufacturing process includes from start to packaging. We have basic expertise and facilities for prototype designing and fabrication. At present, focus is on tactile sensing systems based on piezoelectric polymer films. Prototype fabrication includes the realization of ad-hoc patterned electrodes and tracks either on the PCB substrate (sensor support and signal extraction) or directly on the piezoelectric polymer film or on both. 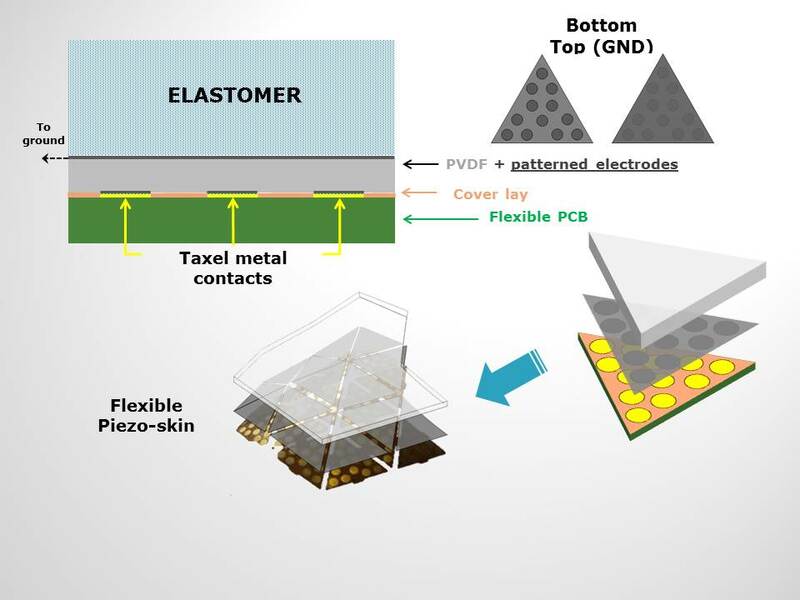 Coupling of the piezoelectric transducer film to the PCB substrate and/or direct polymerization/adhesive coupling of an elastomer coating on top complete the sensor array fabrication. Sensor signals are finally sent to the interface electronics. The flexible 64-taxel flexible skin has been fabricated in collaboration with Spes Medica. L. Seminara, L. Pinna, M. Valle, L. Basiricò, A. Loi, P. Cosseddu, A. Bonfiglio, A. Ascia, M. Bisio, A. Ansaldo, D. Ricci and G. Metta, Piezoelectric polymer transducer arrays for flexible tactile sensors, IEEE Sensors Journal, vol. 13, issue 10, pp. 4022- 4029, 2013.